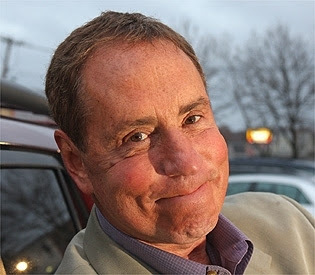 Bob Lobel has done just about everything there is to do in sports broadcasting. The longtime WBZ sports editor has covered Super Bowls, World Series, Stanley Cup and NBA Finals, along with the Boston Marathon and countless other memorable events. Yes, Lobie has done it all, except the one thing that got him interested in the business to begin with: Play-by-play announcing. But that will all change soon, when Lobel begins his new job as the play-by-play announcer for the Worcester Bravehearts during the team's home opener June 3rd. "To be perfectly honest, play-by-play is the reason I got into the business," Lobel said. "But once I got behind the desk at Channel 4 (WBZ), I never got the chance. I had a job, and it was a great job, but now 30-some years later, I finally have the chance to do this." Lobel, who also serves as a Public Address announcer for the Boston Red Sox, and stars in the club's internet show "Back and Forth With Bob Lobel," will serve as the Bravehearts' radio play-by-play announcer on WCRN for home games throughout the 2016 season. "I really am excited about this," Lobel continued. "The people with the Bravehearts have been so great. This is going to be a fun season." It will also be a return to Worcester for Lobel, who briefly served as a weekly columnist for GoLocalWorcester in 2012, before joining us here at SuiteSports. As for the Bravehearts, the club is entering its third year of existence, competing in the Futures Collegiate Baseball League (FCBL). The Bravehearts have dominated the league since entering as an expansion team in 2014, wining the championship each of their first two years. Filling the baseball void left by the bankrupted Worcester Tornadoes, the Bravehearts aren't headlined by big names like Jose Canseco. Rather, the Bravehearts' roster is dotted with local talent, including St. John's (Shrewsbury) alum, and current Holy Cross pitcher Danny Barlok, along with former Shrewsbury star and current Assumption infielder Mike Coggeshall. In all, the Bravehearts feature a dozen players who have either played their high school ball in Central Mass, or are currently playing for a Central Mass college. It truly is a "Local 9" for Worcester and the surrounding towns. The Bravehearts compete at Fitton Field on the campus of The College of the Holy Cross, and play their third-ever home opener on June 3rd against the Wachusett Dirt Dawgs at 7:05 pm. For tickets and other information, check out the club's website here. To listen to Bob and the Bravehearts during the season, tune to WCRN 830 AM in Worcester, or check the station out online here.